It's really not until the artwork is on the wall that I feel I can truly say the bathroom is finished. But now it is. And I'm loving Santorini Version 2 so much better than Version 1. It only took me two years to get around to turning it into a work of art that I love, but I got there in the end. 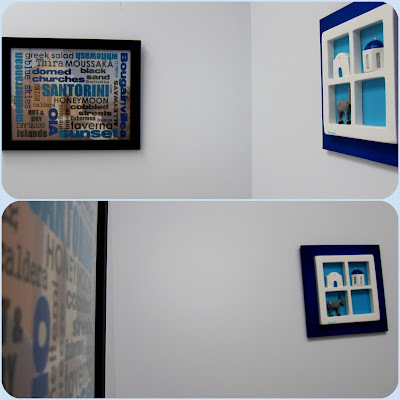 I'm also stoked at how the sky in the word art photo so closely matches the shade on the wall (Resene Zircon) and also the blues of the other Santorini picture. Nice one. 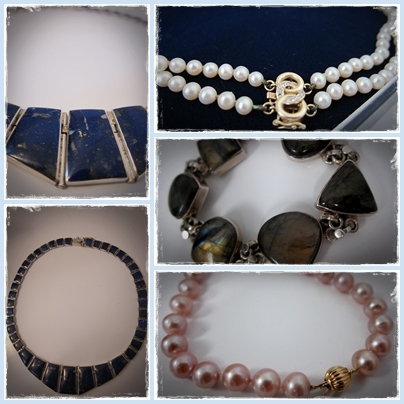 Discovered thanks to Paisley Jade's Things I'm Loving post last week - and I'm now officially addicted. The fact that it's caffeine free - even better! I've never been much of a bubbly drinker, preferring still whites like sav, reisling or gewurtzraminer as my drink of choice. That was until this summer. My mum quite likes a medium bubbly wine, and after we'd open a bottle to have with dinner over our holiday, I found mysellf needing to finish off the bottle each night - well no-one wants to drink flat bubbly the next day now do they?! It's no wonder I came back from the holiday a couple of kilos heavier! Last week I found a low alcohol, eco friendly bubbly that Banrock Station do called Frizzante, yummo. And tonight, people, because I know you all want to know I'm drinking Yellowtail Rose Bubbles. And even better, now I've found a resealable lid I don't have to drink the lot in one go! Although it was fun. It's rare to see the two boys sitting so still so close together. And it was probably only because Kung Fu Panda was distracting them that it even happened. But what was even lovelier to see is that they're actually cuddled up next to Grandad in this pic. Although I'm not allowed to show you.. he wouldn't let me post a picture of him half naked on the blog (read: shirt off the summer heat! I love new bling. And my dad-in-law is otherwise known as Mr. Bargain Hunter extraordinaire. Every two years when they make the trip out to NZ, I'm treated to some amazing treasures, found at a fraction of their value in various nooks and crannies. Talk about feeling like royalty! I love watching this guy. I have to laugh and shake my head at how one could find this even remotely tasty. Don't get me wrong, I love the taste of lemon in things, it's one of my favourite flavours. But I'm still not sure I could ever munch away happily on lemon skin like this guy does. Or is he happy - cue bottom right photo! Say what?! Unless you have an iPhone, this will probably not interest you in the slightest. But I was mildly (read muchly) excited to realise that you can use your iPhone as a wireless connection to the Internet when you don't have any other Internet access (like for when we're at the beach house in a couple of weeks' time). The joys of technology! All you have to do on your iPhone is go to Settings: General: Network: Internet Tethering: Turn On. Then connect up your iPhone to your laptop via USB and Bluetooth, find your iPhone in your Network connections and voila - instant Internet access. How. Cool. Is. That. Yes, I realise my fascination with techie geeky things is probably not shared by many. I love our daycare teachers. And they love our kids. We mentioned our concerns about Noah being a bit bereft once all his friends have moved on to school. And the teachers had already recognised it, talked about it, and have a plan of action in place. Earlier this week they took Noah aside and told him that he was going to the 'Number One' boy, their 2-I-C, and that as the oldest he would have special responsibilities like helping hang up artwork, and helping transition the little kids over from the younger side when they turn three. A similar thing happened to another boy this time last year, and the teachers found this was a great way to bring out his leadership skills and make him feel like he was really special as the oldest at the centre. I remember the young boy they're talking about. Particularly I remember how much Noah and all his friends really looked up to this boy so it gives me hope that although things are changing, it can still be a really positive time for Noah. Thank you Lord for already answering our prayers. Where did the past three years ago? 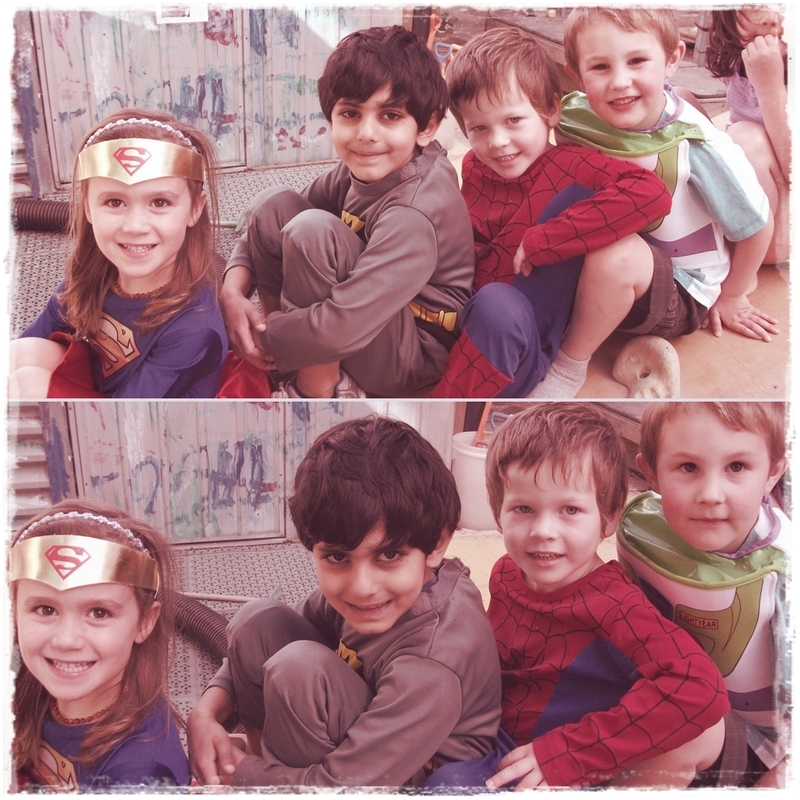 These photos taken on Aarnav's happy last day at daycare on Tuesday. And these photos taken about 2.5 years ago on a weekend outing to Staglands. Go well good friends to your new school days. What a cool list Meghan! And I recognise PHOTOSCAPE tinkering too! Now I REALLY want to find that tea... do you think they sell it in Aus? Wow those treasures are awesome! 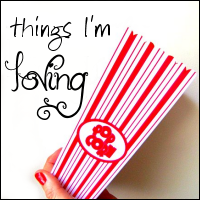 great things totally worthy of loving! Yep bubles, liquid sugar and scales told me a horror story after the holidays! Resealable bottle? Fantastic! what a great list. Love the picture of the lemon eating - hilarious. yes love that tea too! 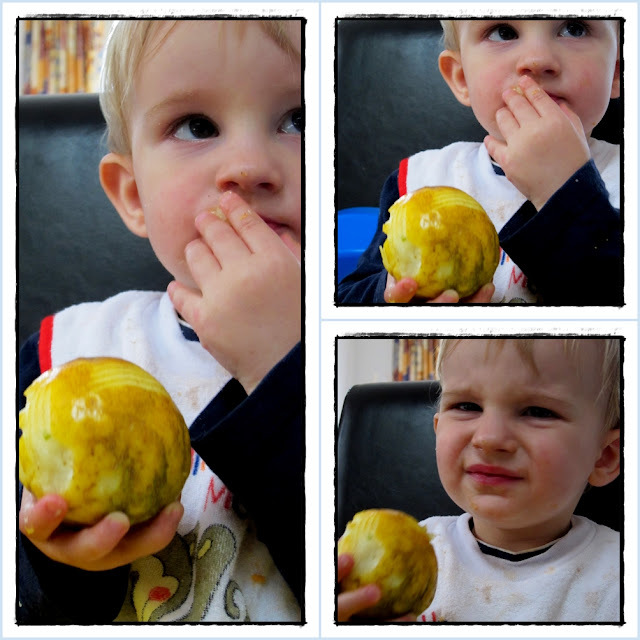 especially loving the lemon eating photos - too cute!!! Awww, so much greatness on this list - the wine, the tea (are you really going caffeine free?! ), your boys, the wonderful teachers at daycare (awesome to hear) and those precious treasures from such a thoughtful father-in-law. And the lemon eating... ewww - Mylo pulls the best faces! Tee hee!